If I were King, I would make it a hate crime for verbal abuse to exist. It is wicked to break someone down mentally. Verbal abuse can be as destructive and harmful as physical abuse, the only difference being verbal abuse leaves no physical scars. On second thought, if we listen to ancient wisdom, words have the power to create life and death. Verbal abuse is worse than physical abuse. Many relationships seem wonderful and perfect at the beginning but some relationships do turn into manipulative, humiliating and intimidating connections. Let’s follow the progression from normal disagreement to abuse: In a normal relationship there are moments where one or both partners are uncomfortable. These are not necessarily bad. It could be a time of growth, something new to explore. But, if the discomfort is ignored, dismissed or shamed, the tension between the two progresses into veiled anger, sarcasm and verbal jabs. If this tension is ignored, and contempt settles in the relationship progresses to become verbally abusive. 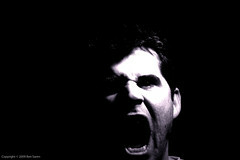 There are usually some stages that a verbally abusive relationship manifests. In the beginning, your partner may become detached, preoccupied and a little too critical. For a while, they may even apologize. During this early stage, the abuser accuses the victim for his or her failures and also criticizes petty things about the victim. The abuser blames the partner for even provoking them so much they lose their composure. The conversations, if you can call them that, are loaded with sarcasm, put downs, and jokes at the partner’s expense. The abuser is being filled with unforgiveness, bitterness and rage. If contempt sets in, the relationship is usually lost. This is when the abuse begins. Abuse is characterized by massive fights during which a lot of threats and hurtful words are said. It is at this stage that the abuse can sometimes even turn physical. Being an abusive person usually results from a dysfunctional childhood, where anger management obviously wasn’t on the agenda. Finally, once the abuse is done, the abuser gets apologetic and does everything in his or her power to set things right again, until the entire cycle begins all over again. Breaking this cycle is the key to changing the nature of your relationship. 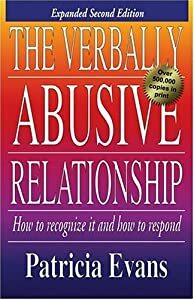 This can be attained by increasing your awareness of signs of verbal abuse and being assertive and not allowing the abuser to manipulate and dominate you. Sometimes couples who cannot do these reparations by themselves seek external help from therapists, who can improve communication and understanding between partners. If the contempt and disgust isn’t too far progressed, the relationship can be salvaged. If it has been unattended to for too long a time, it is usually too far gone. Get help before it is too late.